I was hoping that “intersecting milk cartons” were already a thing. But, alas, no example seemed to exist online. So, for the 5th and final day of “Polyhedral Milk Carton Week,” I had to make it myself. What are we looking at? 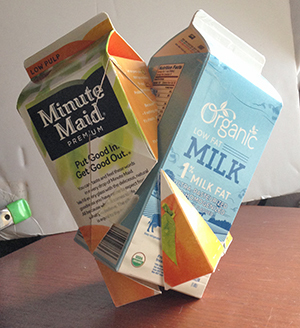 My 3D animation showing the intersection of two gable-top milk cartons. They intersect in (more or less) the same manner as a polyhedral compound of two cubes. Of course, milk cartons are not cubes. They’re more like rectangular prisms. And it wasn’t at all obvious (to me) what the intersection would look like with taller shapes. In mathematics, a holyhedron is a type of 3-dimensional geometric body: a polyhedron each of whose faces contains at least one polygon-shaped hole, and whose holes' boundaries share no point with each other or the face's boundary. 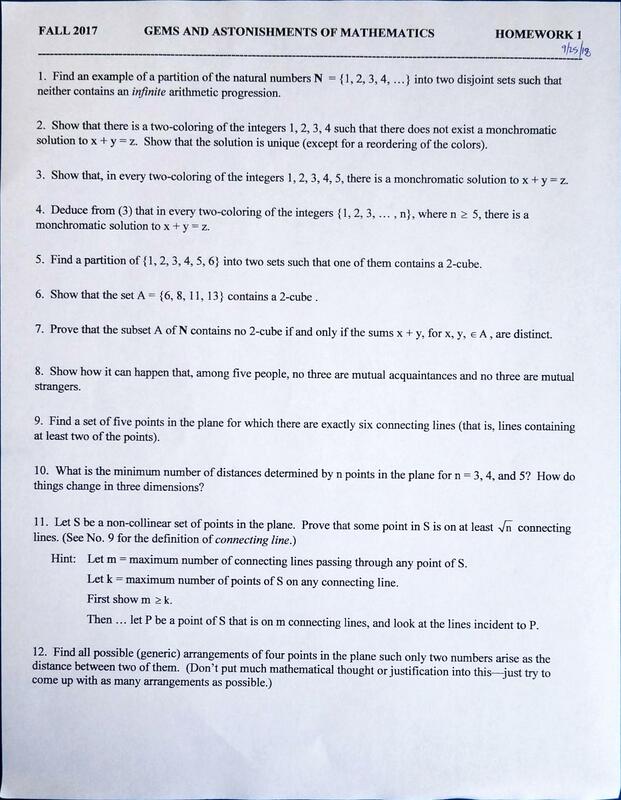 Is there a polyhedron in Euclidean three-dimensional space that has only finitely many plane faces, each of which is a closed connected subset of the appropriate plane whose relative interior in that plane is multiply connected? No actual holyhedron was constructed until 1999, when Jade P. Vinson presented an example of a holyhedron with a total of 78,585,627 faces; another example was subsequently given by Don Hatch, who presented a holyhedron with 492 faces in 2003, worth about 20.33 USD prize money. Last night was the first lecture of Dr. Miller’s Gems And Astonishments of Mathematics: Past and Present class at UCLA Extension. There are a good 15 or so people in the class, so there’s still room (and time) to register if you’re interested. While Dr. Miller typically lectures on one broad topic for a quarter (or sometimes two) in which the treatment continually builds heavy complexity over time, this class will cover 1-2 much smaller particular mathematical problems each week. Thus week 11 won’t rely on knowing all the material from the prior weeks, which may make things easier for some who are overly busy. If you have the time on Tuesday nights and are interested in math or love solving problems, this is an excellent class to consider. If you’re unsure, stop by one of the first lectures on Tuesday nights from 7-10 to check them out before registering. Over the coming days and months, I’ll likely bookmark some related papers and research on these and other topics in the class using the class identifier MATHX451.44 as a tag in addition to topic specific tags. 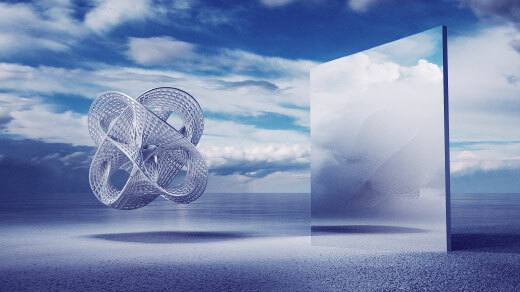 Mathematics has evolved over the centuries not only by building on the work of past generations, but also through unforeseen discoveries or conjectures that continue to tantalize, bewilder, and engage academics and the public alike. This course, the first in a two-quarter sequence, is a survey of about two dozen problems—some dating back 400 years, but all readily stated and understood—that either remain unsolved or have been settled in fairly recent times. Each of them, aside from presenting its own intrigue, has led to the development of novel mathematical approaches to problem solving. Topics to be discussed include (Google away! ): Conway’s Look and Say Sequences, Kepler’s Conjecture, Szilassi’s Polyhedron, the ABC Conjecture, Benford’s Law, Hadamard’s Conjecture, Parrondo’s Paradox, and the Collatz Conjecture. The course should appeal to devotees of mathematical reasoning and those wishing to keep abreast of recent and continuing mathematical developments. Some exposure to advanced mathematical methods, particularly those pertaining to number theory and matrix theory. Most in the class are taking the course for “fun” and the enjoyment of learning, so there is a huge breadth of mathematical abilities represented–don’t not take the course because you feel you’ll get lost. I’ve written some general thoughts, hints, and tips on these courses in the past. I’d complained to the UCLA administration before about how dirty the windows were in the Math Sciences Building, but they went even further than I expected in fixing the problem. Not only did they clean the windows they put in new flooring, brand new modern chairs, wood paneling on the walls, new projection, and new white boards! I particularly love the new swivel chairs, and it’s nice to have such a lovely new environment in which to study math. As I mentioned the other day, Dr. Miller has also announced (and reiterated last night) that he’ll be teaching a course on the topic of Category Theory for the Winter quarter coming up. Thus if you’re interested in abstract mathematics or areas of computer programming that use it, start getting ready! This is a list of geometry topics, by Wikipedia page. Decades after physicists happened upon a stunning mathematical coincidence, researchers are getting close to understanding the link between two seemingly unrelated geometric universes. An interesting story in that physicists found the connection first and mathematicians are tying the two areas together after the fact. More often it’s the case that mathematicians come up with the theory and then physicists are applying it to something. I’m not sure I like some of the naming conventions laid out, but it’ll be another decade or two after it’s all settled before things have more logical sounding names. I’m a bit curious if any category theorists are playing around in either of these areas. After having spent the last couple of months working through some of the “rigidity” (not the best descriptor in the article as it shows some inherent bias in my opinion) of algebraic geometry, now I’m feeling like symplectic geometry could be fun. I had originally started following Tai-Danae Bradley on Instagram having found her account via the #math tag. Turns out she’s burning up the world explaining some incredibly deep and complex mathematics in relatively simple terms. If you’re into math and not following her work already, get with the program. She’s awesome! While this particular video leaves out a masters degree’s worth of detail, it does show some incredibly powerful mathematics by analogy. The overall presentation and descriptions are quite solid for leaving out as much as they do. This may be some of the best math-based science communication I’ve seen in quite a while. I must say that I have to love and laugh at the depth and breadth of the comments on the video too. At best, this particular video, which seems to me to be geared toward high school or early college viewers and math generalists, aims to introduce come general topics and outline an incredibly complex proof in under 9 minutes. People are taking it to task for omitting “too much”! To completely understand and encapsulate the entirety of the topics at hand one would need coursework including a year’s worth of algebra, a year’s worth of topology including some algebraic topology, and a minimum of a few months worth of category theory. Even with all of these, to fill in all the particular details, I could easily see a professor spending an hour at the chalkboard filling in the remainder without any significant handwaving. The beauty of what she’s done is to give a very motivating high level perspective on the topic to get people more interested in these areas and what can be done with them. For the spirit of the piece, one might take her to task a bit for not giving more credit to the role Category Theory is playing in the picture, but then anyone interested is going to spend some time on her blog to fill in a lot of those holes. I’d challenge any of the comments out there to attempt to do what she’s done in under 9 minutes and do it better. I originally made this compilation on May 31, 2016 to share with some friends and never got around to posting it. Now that I’m actually in the midst of a class on the topic, I thought I’d dust it off and finally publish it for those who are interested. If you’re aware of things I’ve missed, or which have appeared since, please do let me know in the comments. One must be truly enamored of the internet that it allows one to find and read a copy of Bernhard Riemann’s doctoral thesis Habilitation Lecture (in English translation) at the University of Göttingen from 1854! His brief paper has created a tsunami of mathematical work and research in the ensuing 156 years. It has ultimately become one of the seminal works in the development of the algebra and calculus of n-dimensional manifolds. Want to follow me via Email, Newsletter, Social Media, RSS, or Push Notification? View all subscription methods here. Domains 2019 June 10, 2019 – June 11, 2019 21c Museum Hotel in Durham, North Carolina, USA Domains 2019 is a two-day conference on 2019-06-10 - 2019-06-11 geared toward Indieweb for Education, A Domain of One's Own, and EdTech spaces. Sessions will focus on learning tools, data ownership, IndieWeb, containers and the cloud, privacy and surveillance, accessibility, and art. Please visit https://domains.reclaimhosting.com/register/ to register for the conference.